Robert Stark is the Co-Founder and President of Melville Capital, LLC where he oversees the implementation of the Firms’ operational strategies including asset valuation, transaction marketing, closing and compliance. For more than 20 years, he has worked in finance, lending, structured assets and life insurance and has been directly involved in over $2.5 Billion of structured finance transactions. Robert holds his series 7 and 63 licenses as well as is a licensed Life Insurance Agent and Life Settlement Broker in numerous states. Robert earned a B.S. in Finance from the University of Maryland at College Park, and his Master of Business Administration from New York University’s Stern School of Business. In his free time, he leads an active lifestyle and has completed over twenty marathons including The New York City and Boston Marathons, as well as two Ironman Triathlons. He lives near Boca Raton, FL with his wife and three daughters. Doug Himmel is a Co-Founder and Managing Director of Melville Capital in Los Angeles and is President of Melville Capital Structured Products Group, LLC (“MCSPG”) overseeing the Firm’s Business Development, Marketing, Brand Building and PR focus. For almost 25 years, Doug has been involved in the financial services, lending and life insurance. He holds his series 7 and 63 licenses, is licensed as a Life Agent/Life Settlement Broker in numerous states and as a CA Real Estate Broker. An active member of several professional organizations including the American Bankruptcy Institute, Turnaround Management Association, Association for Corporate Growth and the Financial Planners Association, National Association of Insurance and Financial Advisors, he is sought out as a contributor - speaking at conferences, writing articles or for market related quotes. Doug earned a B.A. in Political Science and Finance from the University of Arizona. He lives in Venice Beach, CA where he is active in entrepreneurship, philanthropy, participating and watching sports (especially his beloved Arizona Wildcats), being outdoors and taking advantage of the “California Lifestyle” with his two Rhodesian Ridgebacks and his wife. Amy Gavartin is the Director of Advanced Markets. Amy brings more than 15 years of experience and expertise in the Life Insurance Marketplace and related financial services to Melville Capital. The Advanced Markets practice advises clients on such alternative financing strategies as Private Split Dollar, Private Premium Finance and Commercial Premium Finance, and allows policy owners to finance insurance premiums in ways that deliver the most tax-efficient results at the lowest possible cost. Currently, Amy’s main focus is assisting referral partner’s and their clients, both corporations and individuals, in analyzing existing life insurance contracts, implementing advanced planning strategies, developing the proper exit strategies and when applicable, receiving the highest bid from Institutional Investors for unwanted or unneeded Life Insurance policies. Amy also works on tertiary trades. Her extensive global network of professionals allows her to consistently collaborate and create synergies for successful transactions. Additionally, Amy has served as Vice Chair for the Mountain/Desert Network and Vice Director of Networks for IWIRC (International Women’s Insolvency & Restructuring Confederation), and is a former board member of WIFS. In addition, she is a proud member of NAIFA, WIFS, IWIRC, TMA, and ABI. Amy enjoys cooking, gardening, knitting, dancing and spending quality time with her two children and husband. She and her family reside in Phoenix, AZ. Brad Naso joined Melville Capital in 2007, and prior to that, owned and managed two nationally affiliated real estate advertising firms. Working with referral sources from a variety of professional areas including Insolvency, Restructuring, Valuation, Insurance, Estate Planning and Wealth Management, Brad provides clients with comprehensive analysis and advice. Brad holds a Bachelor of Science in Marketing from Iowa State University. He is a licensed insurance agent and an active member of the American Bankruptcy Institute, Turnaround Management Association, Association for Corporate Growth, Los Angeles Estate Planning Council and the Financial Planners Association. Justin Blau is the Vice President of Policy Acquisitions, overseeing our NY office. Since joining the Firm in 2008, he has worked closely with referral sources, internal business development professionals as well as policy buyers to ensure that cases are closed in a compliant and timely manner. After earning his B.A. in Business Management from Farmingdale State University in New York, Justin has been involved in financial services and life insurance for more than 10 years. He lives in Babylon, NY where he is an active Triathlete, including finishing 2 full and 2 half ironman distance events as well as several marathons. In addition, Justin enjoys participating in outdoor activities such as Rock Climbing, Surfing, Skiing, Snowboard and Skydiving and has a true passion for the wonderful craftsmanship of Horology - which he continues to explore on a daily basis. 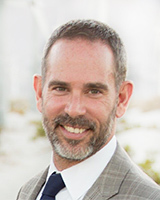 Matt Nierenberg is a Senior Vice President in the Capital Markets Group with Melville Capital in Santa Monica. 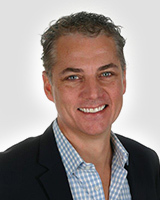 He has over 20 years of experience in global capital markets. Prior to joining Melville Capital, Mr. Nierenberg worked for HSBC Bank in Los Angeles as a Global Relationship Manager responsible for covering large international corporate clients. He also worked HSBC Securities in New York for as a Vice President in the Debt Capital Finance - Capital Markets origination group covering the largest and most frequent global issuers in the investment-grade corporate space. Prior to that, Mr. Nierenberg worked for Toyota Motor Credit Corporation where he managed all aspects of a $20 billion+ global unsecured funding program and as a Senior Fixed Income Trader / Portfolio Manager with Wachovia Global Securities (formerly Metropolitan West Securities). 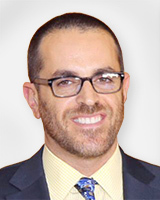 Mr. Nierenberg graduated with a BA from University of California, Santa Barbara and an MBA with honors from Loyola Marymount University. In addition, he is an Adjunct Professor and Guest Lecturer at the Loyola Marymount University College of Business Administration.